Prostate Cancer recurrence simply implies that initial treatment administered to treat prostate cancer was ineffective in eliminating it. There are still surviving cancerous cells within the prostate that will become more evident upon further examination and analysis. Generally speaking following prostate cancer treatment PSA levels in the blood will start to decrease and drop to a more stable level. However if the cancer does return following treatment it is either a local recurrence or distant recurrence. Local recurrence is cancer that returns to the originating site, while distant recurrence is cancer that has metastasized (spread) into other areas of the body. Tumor Size: The larger the tumor is the greater chance a patient has of recurrence. Stage: The higher your prostate cancer stage is , the greater the risk you have of recurrence. Gleason Score: The higher your score is, the greater the risk is of recurrence. How can you detect a recurrence? Following prostate cancer treatment your doctor will have you come in every few months for a medical check-up. During these routine appointments, your doctor will test your blood to measure your PSA levels. This test is administered to help in detecting a recurrence of cancer. You will also be examined during theses appointments and should report any new symptoms or complications to your doctor. Any new information that you provide could potentially require further testing. If the results of a PSA test indicate that the cancer is recurrent or metastasized Imaging tests such as an X-ray will be ordered and the specific type of imaging test needed is dependant on your particular situation and symptoms. Other factors to consider with treatment options include: the extent of your cancer, age and site of the recurrence. 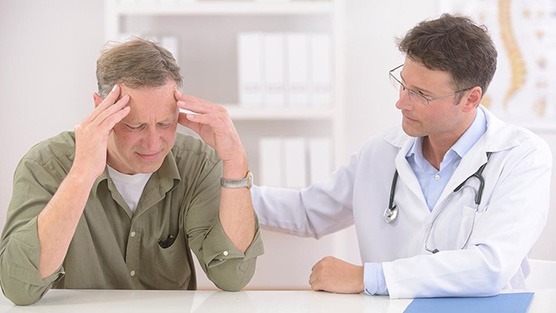 You should discuss these with your doctor at length before deciding on a course of treatment.